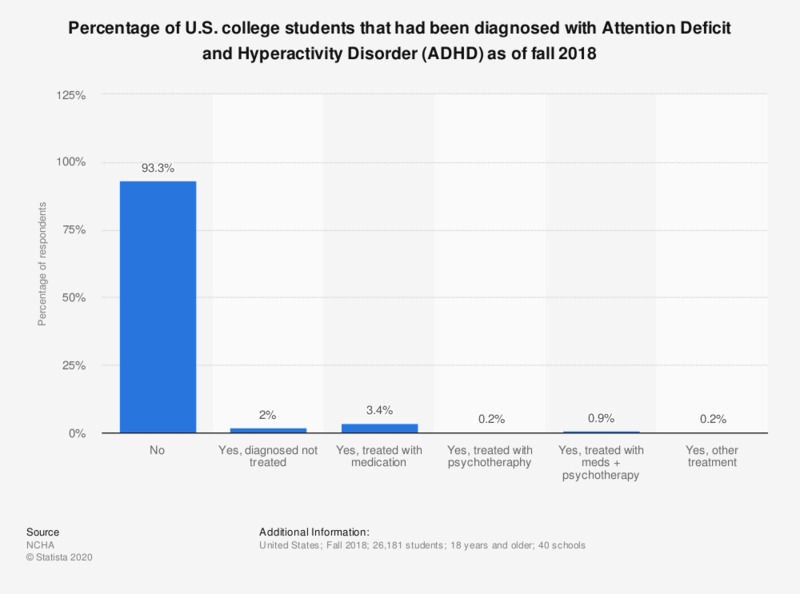 This statistic presents the percentage of college students in the U.S. who had been diagnosed with Attention Deficit and Hyperactivity Disorder (ADHD) within the past 12 months as of fall 2018. According to the data, two percent of students had been diagnosed with ADHD but not treated. Original question: "Within the last 12 months, have you been diagnosed or treated by a professional for any of the following...? (Attention Deficit and Hyperactivity Disorder)"